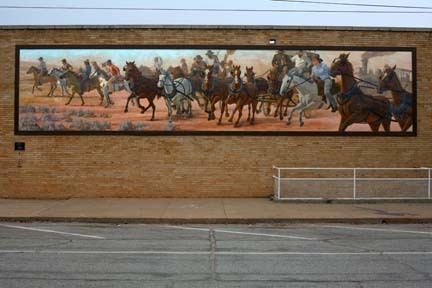 This mural, our first, depicts the land run that opened up our part of Oklahoma, known as the Cherokee Outlet or Cherokee Strip. 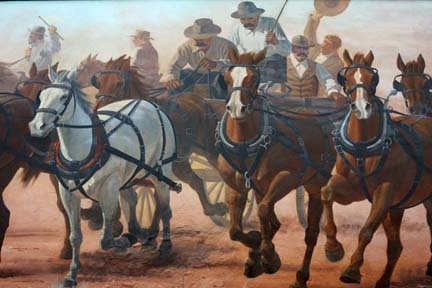 The land run took place on September 16th, 1893. Prospective settlers raced into the land from the Kansas border and staked their claim for a quarter-section farm or a city lot. The city of Alva was born on this date. A detail from the mural. Roger Cooke claimed that this was the most complicated mural he had painted.